Each week this site features a North Carolina poet, complete with introduction, photo, biography, and, most important, the poetry. You’ll be able to discover some new poets as well as become reacquainted with some of our better-known ones. I hope this feature brings both pleasure and illumination. And I hope it makes each Monday of each new week a little easier to face! Enjoy! Lavonne Adams was one of the first graduates of our department's MFA in Creative Writing program. She studied with one of our first Distinguished Visiting Writers, Philip Levine, who selected Lavonne as the one student from his workshop to give a public reading of her work. After I introduced Mr. Levine as the recipient of many awards, including the Pulitzer Prize, he introduced Lavonne Adams by saying he was prouder of his students than of his prizes. What he found so refreshing about Lavonne's poetry was that she did not write about herself; instead she could project herself into other people, a talent that reflects the fact she is also an excellent writer of fiction and nonfiction. Philip Furia is chair of the Department of Creative Writing at the University of North Carolina at Wilmington. He has a special interest in the lyricists of American popular songs of the first half of the twentieth century and has written four books on the subject—most recently, Skylark: The Life and Times of Johnny Mercer (New York, NY: St. Martin's Press, 2003). In the summer of 2003, when visiting Santa Fe for the first time, I stumbled across a plaque that commemorated the end of the Santa Fe Trail. I knew nothing about the trail, had never been much of a history buff as far as the old west was concerned. Still, for months I kept seeing that plaque in my mind every time I sat down to write. I finally gave in to my own subconscious and visited Kenan Library, here at the University of North Carolina at Wilmington, where I stumbled across a book that contained journal excerpts of those who had traveled the trail in the mid-1800s. I found the female voices particularly compelling. That discovery led to months of additional research, culminating in a UNC-W Summer Research Initiative Grant, which enabled me to return to Santa Fe and drive along what was once the trail. These poems are part of the collection I have been working on, titled Through the Glorieta Pass, which focuses on these women, as well as the Native American and Hispanic women who already occupied the territory. from the end of poles around the fire. an enemy different from gutting a buffalo? beneath his arm, as I carved away his scalp. red-stone pipe carved like a magpie's beak. there is power only when they are joined. toward the sky, the earth, the four sacred directions. We understand truth, we know the strength of ceremony. by gashing our foreheads, by wandering the bush alone. the Great Bird's claws, returned to the Earth as thunder. of pearls guarded by thorns long as needles. of ham and beans seasoned by our hunger. packs a shroud and, for a coffin, clean boards. each a flurry of gold I can hold in my hand. a storm out on the open prairie." Near dusk, a storm swept across the prairie. that there would still be air for me to breath. like the words of an angry prophet. rise and drift in my skull, told me my fortune. a sky so blue it would make my eyes ache. echo of my brother's screams? like blood pooling in his mouth? like cream that churns to the top. so they ended up far ahead. of twelve miles to pick wild plums. the Indians war-whooped toward him. Some would say this was common sense. in a front walk bordered by lilacs. the servants wine and cake. squawking like a harsh mistress. Lavonne J. Adams is the recipient of the 2004 Randall Jarrell/Harperprints Chapbook Award for In the Shadow of the Mountain, the 1999 Persephone Poetry Award for Everyday Still Life, and read as an emerging artist at Vanderbilt University's "Millennial Gathering of the Writers of the New South." Her poems appear in numerous literary journals, most recently The Cimarron Review, The Comstock Review, and The MacGuffin. She teaches in the Department of Creative Writing at the University of North Carolina at Wilmington. All the poems are presented here with permission of the author, who holds the copyright. Mark Cox was once an industrial painter on projects such as the bridges over the Mississippi into St. Louis. His poems explore essential connections—one's relationship to poetic tradition, the reader, the natural world, other lives, language itself. He renews strategies that have served poets across centuries and international borders: voice, rhythm, image, dream, vision, myth, metaphor, shrewd architectonics whether "free" or not, a willingness to bring the reader decisively into the transaction. Richard Simpson is a contributing editor of Tar River Poetry and NEO. His poems and reviews have also appeared in Shenandoah, Passages North, and The Laurel Review. He teaches literature and writing at St. Bonaventure University. The land is only ground now. a slab where the root cellar stood. as the hens' eggs I've never put down. No one knows where I am. Face up. Eyes widened and clear. I will not go hungry. Why hide where we can see you? Why turn from fires to the outer dark? How long can a flower be held and still be a flower? If the hand opens, where will the fist fall? How can the tree in granite flourish? How can we go on this way? it's our job to be watching when it does. the little trout seemed, held up on your hook? The gasp of joy it gave you? stop and listen this once. but then you have to put it back. 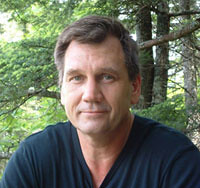 Mark Cox teaches in the Department of Creative Writing at the University of North Carolina at Wilmington. His honors include a Whiting Writers' Award, a Pushcart Prize, the Oklahoma Book Award, The Society of Midland Authors Poetry Prize, and a Burlington-Northern Faculty Achievement Award. He served as the 24th Poet-in-Residence at The Frost Place, and has received fellowships from the Kansas Arts Commission, the Vermont Council on the Arts, and the Bread Loaf Writers' Conference. The poems presented here are drawn from Mr. Cox's most recent collection, Natural Causes: Poems, copyright Mark Cox 2004. All rights are controlled by the publisher—the University of Pittsburgh Press, Pittsburgh, PA 15261—and used by permission of the University of Pittsburgh Press. Mr. Cox's previous books are Barbells of the Gods, Smoulder, and Thirty-Seven Years from the Stone, also published by the University of Pittsburgh Press. He lives in Wilmington with his wife, Karin, and their three children. What a pleasure it is to write a few words about my friend and fellow poet, Barbara Presnell. And to say something about her latest poetry project—a full-length manuscript of poems written about a textile plant, the people who work there, and the ways they are affected by the mill's closing. These poems are full of heart, humor, and that honest and beautiful blend of words and lines that makes Barbara Presnell's narrative poems so alive and so believable. These finely crafted poems introduce the reader to many people living through workdays and home life. One of these authentic and compelling characters is Velma, the shrink-wrap lady. That's her job and she does it with a vengeance! Velma comes right off the page from the very first line and takes the reader for a marvelous ride. She is gritty and she is so real I'm pulling for her all the way. Barbara has developed this collection of poems over the past few years and in doing so, she won the 2004 Linda Flowers Prize from the North Carolina Humanities Council. NCHC published more than 30,000 copies of a 10-page broadside consisting of some of these textile poems, titled Sherry's Prayer, and distributed them to schools and libraries all over the state. 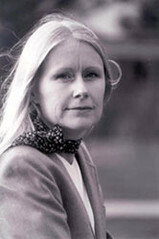 In past years, Barbara has also published three books of poetry. She has won the Brockman-Campbell Book Award and the Oscar Arnold Young Book Award for two of these collections. 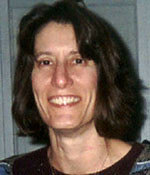 Much of her work has been included in many fine journals and magazines. Diana Pinckney is the author of Alchemy, White Linen, and Fishing with Tall Women, which won the Persephone Press Book Award and South Carolina's Kinloch Rivers Memorial Chapbook Contest. Her poetry and prose has appeared in Cream City Review, Tar River Poetry, The Comstock Review, Gulf Stream, The Deep South Writers Chapbook, and in the anthologies Word and Witness: 100 Years of North Carolina Poetry, Earth and Soul: An Anthology of North Carolina Poetry, Trapping Time Between the Branches: An Anthology of Charlotte Poets, and Hungry for Home: Stories of Food from across the Carolinas. Two of her poems have been nominated for a Pushcart Prize. A native of South Carolina, she lives in Charlotte and teaches poetry writing in the Continuing Education Department at Queens University. When I first began studying the T-shirt manufacturing company where my father worked, the plant was vibrant and productive. I was drawn to the dedication and skill of the employees—some of whom had worked there 35 years or more. I also saw in many faces the hardship they'd endured, both in the plant and in their lives. I knew I wanted to recreate authentic voices of real people, like the ones I grew up with and the ones I still know who have spent their lives in textiles and furniture and other production industries across the state. So I gave names and machines to invented characters and asked them to tell their stories. Then without warning, the corporate office of the plant I was studying announced its closing. Just as suddenly, my fictional workers faced a new, uncertain future. I went back to them, one by one, to ask how they planned to cope. These two poems are Velma's stories, before the closing and after. The shrink-wrapping machine she works is the last operation in the plant before cut-fabric pieces are shipped to Mexico, where they are assembled into T-shirts. long as it's outta my life. says what's in it—Boys' M arm, Men's L torso. something to ruin a whole order, but I ain't done it yet. they say this plant puts out a week. I shrink-wrap every piece a cloth that's made. every summer I threw away on Daddy's tobacco. her hateful ways, every afternoon of her fits. last fool chance for a goat like me. ain't misery is that three o'clock whistle. Why not? I ask myself. then "We don't need you no more,"
that switch on and off. give me a ten-year pin, fifteen-year pin. every time. Now they give me a "package." What the hell I need a package for? Like I need toenail fungus is what I tell them. I take over at seven, not even the third shifter. just like any other day, I start switching my piles. shifting Boys S to Mens XL. Mens S to Boys M.
Boys L Mens M. XL's to S's. M's to L's. run through at 7:03 to the very last one at 2:58. I'm leaving the building, you know. Everybody's like, "We're gonna miss you, Velma." but I don't say it. Don't need no "package"
We were every one too young to understand. And left the back yard slithery underfoot. Behind the head-high railings of the balustrade. Like a flickering board game on the floor. I stood on the steps and hollered "Polio!" Since we were only children, after all. Before remembering to put her clothes on? And I have wondered at her all my days. And then the crutches and the metal braces. Not Mama's legs, not anything like them. Only late at night could you not hear her coming. As we all did, swimmers floating in a salt pond. Unless you had to pee or the house caught fire. Was a skin of bubbles we could break for air. Hardly one of us has sucked on airless space. And leap below to watch the rafters fall. Over Arlington, and we are ignorant. Breathing their deaths in that unquenchable light. The bar beyond the field is closed for ruination. In our white-walled garden. It was understood. They'd put it in the soup there'd be for dinner. Days he didn't come, the soup would be potato. White walls catching my lights when I return. The days in Monaghan come back to me in Clare. "I'm going into Newbliss now," I say. Is it? A damned sight better you than me." Even, as the story has it most days, nothing. Nothing but the sky, the little hills and hedges. Into Cootehill to lay odds on the bacon slicer. 'He'll not get a dozen out of that one.' "
A stranger, I still find it passing strange. The only bar a man need ever want. Whether by the low road or over the Brae. And begins to take up the world with Mick. I'm in a corner with a pint and the paper. In the night?" "No," says Mick, "I never heard it." And follows his muddy gumboots out the door. There's a clock on every wall, but they're all wrong. When the shadows start working the crossword puzzle. And just as long going back, but worth it. The incoming tide says "Time" to the darkness. Is a runnel of swift water winding downward. You should wear your Wellingtons and carry a stick. Is fierce and requires a cheerful word in passing. The whole blue bay where it rummages the valley. Of wildflowers where you stretch for every foothold. Horizon is a queen's grave or nothing but stones. In an attitude a stranger might take for prayer. But you are alone on the windy mountaintop. Of Donegal. South and wild are the Mayo mountains. But the low sky returns you to the near at hand. The delicate wild blue harebell of Knocknarea. Is the watery lane back down the mountainside. The wind swings northward and cold. The mist is lifting. It is high time you were picking your way downward. Look for the blossoming ditch that brought you there. Your turn has come to leave them there for another. Gibbons Ruark was born in Raleigh in 1941 and holds degrees from the Universities of North Carolina and Massachusetts. His poems have appeared widely for many years in magazines such as Ploughshares , The New Republic, The New Yorker, and Poetry, and in various anthologies and texts, including three editions of X.J. Kennedy's Introduction to Poetry. They have also won the poet frequent awards, including three poetry fellowships from the National Endowment for the Arts, a Pushcart Prize, and the 1984 Saxifrage Prize for the best book of poems appearing in the preceding two years. Collected earlier in A Program for Survival, Reeds, Keeping Company, Small Rain, Forms of Retrieval, and Rescue the Perishing, seventy of them appear in Passing Through Customs: New and Selected Poems (Baton Rouge, LA: Louisiana State University Press, 1999). Mr. Ruark taught English at the University of North Carolina at Greensboro for three years, and in 1968 joined the faculty of the University of Delaware. He has recently retired and returned to Raleigh, where he lives with his wife, Kay. Click here for "The Day a Poem Comes Home," an essay on the writing of the first poem presented here—"Quarantine"—which appeared in the Winter, 2001, issue of The Cortland Review. All the poems featured here—published originally in a variety of literary journals—are reproduced on this web site with permission of Mr. Ruark, who holds the copyright. The North Carolina Arts Council is a division of the Department of Cultural Resources, a state agency.